Leak detection is an important, yet often overlooked, element of plumbing. At Express Sewer & Drain, we never underestimate the problems lingering water damage can do to both property and to your health. The consequences for your health can range from mild allergic reactions to chronic, often devastating, lung conditions. 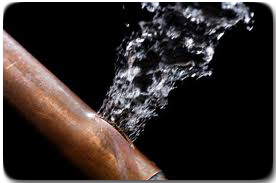 We recommend thoroughly investigating your home for leaks even if you haven’t had a recent plumbing emergency. Mold, mildew and fungi thrive under damp, warm conditions like those caused by water damage. Unfortunately, we can’t always see leaks as they’re happening. Preventive leak detection and leak location can stop water damage from eventually wreaking havoc in your home or business. The EPA has conducted extensive testing over the last decade; studies that prove air levels of indoor pollutants may be two to three times higher than outdoor levels. Mold often goes undetected because of its invisibility. With proper maintenance and preventive plumbing, you can avoid unnecessary water and mold damage in your home or business. Did you know we spend as much as 90% of our time indoors? Minimize your exposure to mold from water damage by calling us for expert leak detection! Got A Water Leak? Why You May Need To Call A Professional?